Jump to Latest Racing News. 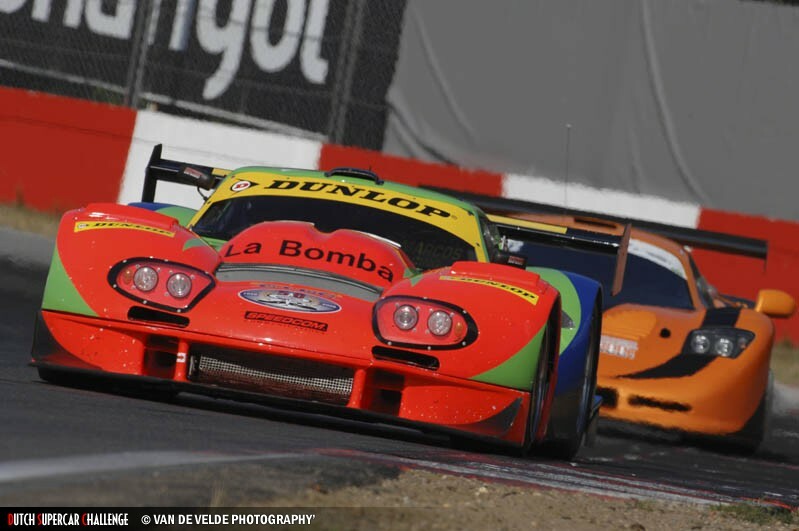 So, into the second decade of the 2000s and Marcos cars plug on. 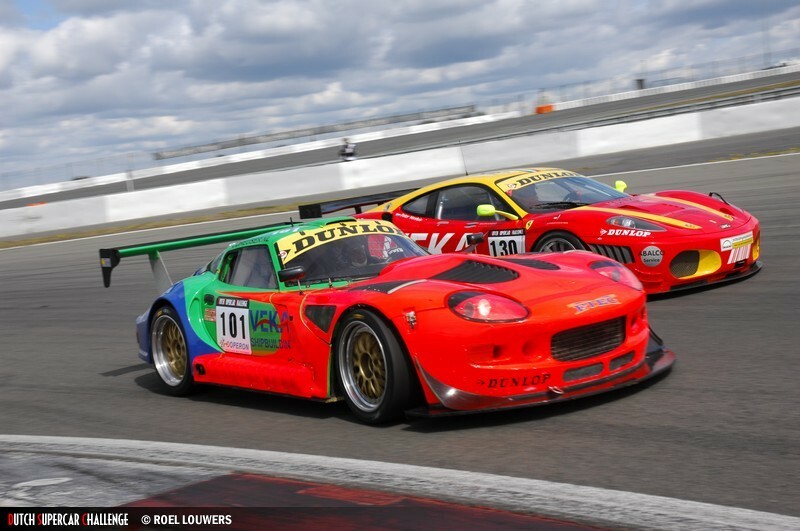 Cor Euser will be back in the Dutch Supercar Challenge with his LM600 (backed by the Mortiz duo in their Mantis) from Silverstone on 4th April, but the Topcats Mantises have already been out at Brands Hatch on 13th March for a 150 minute race. The number 36, Class 3 car qualified 7th in a rather sparse entry. The other car, running in Class 2 was non-qualifier, but was out for the race. 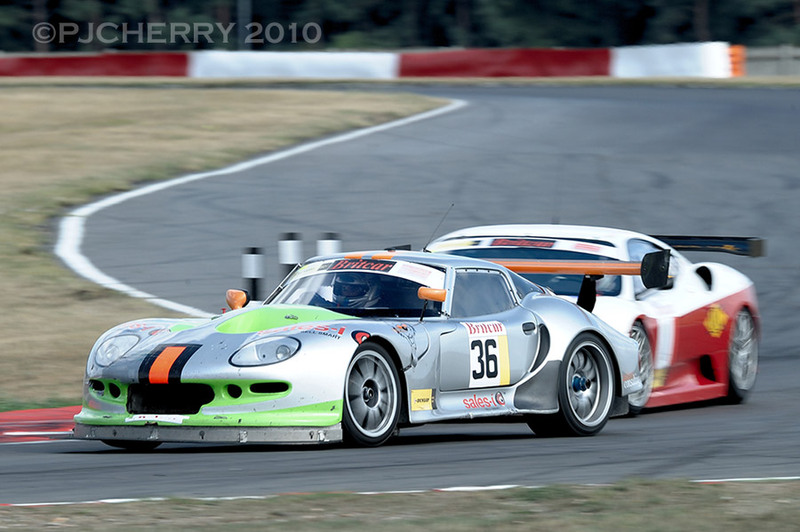 Number 36, in the hands of O'Neill and Fletcher, hovered around 6th and 7th for the first 25 laps. Meanwhile, the faster number 26, with Huggins and Fiorentino driving, quickly made its way from the back of the grid to 9th, 7th and then 5th by lap 25 of the Indy Circuit. By lap 40, the Class 2 car was in the 3rd overall and it held that position for some laps. 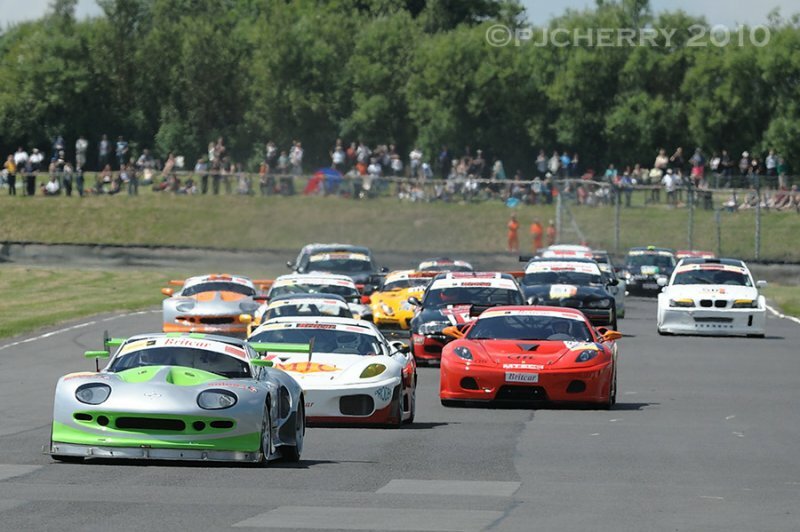 At the halfway point though, it had slumped back to 10th, whilst the 36 car was placed 8th. The 26 car climbed back up the results as the race progressed, partly through attrition and finally the two car were placed 7th and 8th, with the 36 car ahead. Sadly Cor's LM600's engine wasn't ready for the early April Silverstone round of the DSC, so he turned out in a Ferrari 430 of all things! He proved what a versatile driver he is by winning the second event of the weekend (backing it up with a 6th place in the first race), but us Marcos fans can only hope he's not tempted to spend more time in a Prancing Horse as a result! Bert and Patrick Moritz were out in the Mantis, but didn't have a great weekend in Britain, finishing 20th in the first race and 19th (but last classified runner) in the second. 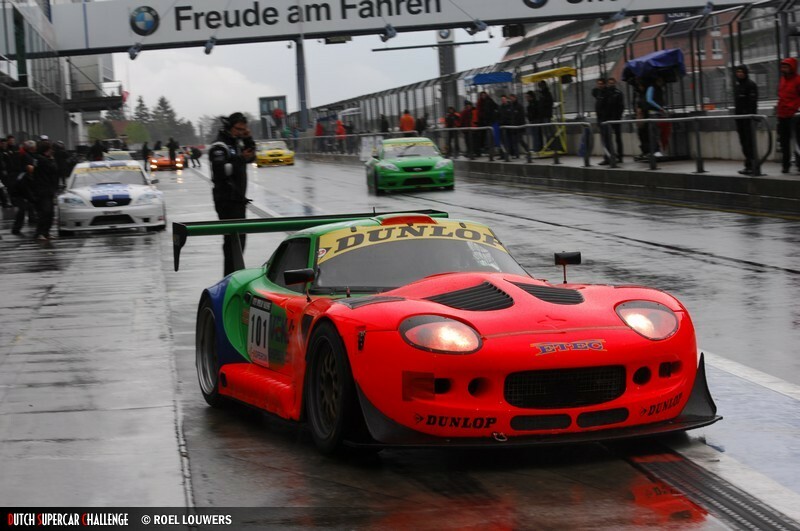 Cor's LM600 engine still wasn't ready for the second round of the DSC, at Germany's Nurburgring, but he was out in his heavily modified Mantis 'Marcorelly'. He put the car second on the grid, behind an Audi R8. 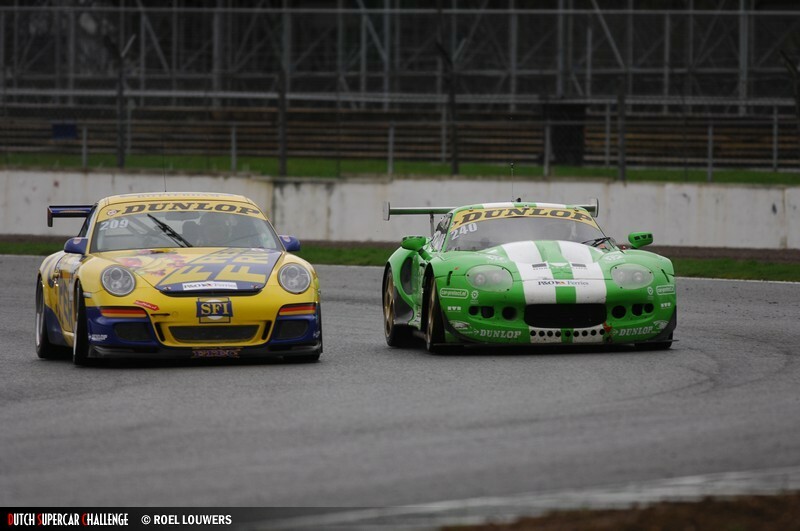 It proved to be a successful return to the marque for Euser as he took 3rd place in the first race and followed it up with a win in a very wet race 2 on the Sunday. He stuck with the Marcorelly for Assen too, which he placed on pole position. In the first race of the meeting, things didn't go at all well, as the car was forced into retirement after just 10 laps. On Sunday, things went better, but a 6th place finish overall was unremarkable (even though it required a drive through the field from 28th on the grid) for Euser. 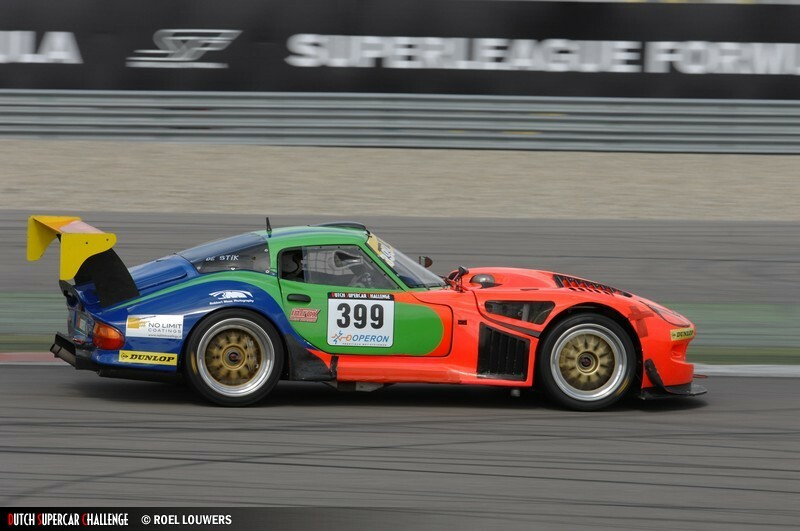 In the Supersports 2 class, the Moritz entered pairing of Diederik and Bob Sijthoff qualified 2nd. Unfortunately the race only yielded a lowly 20th place, 2 laps down on the leaders (presumably as the result of an incident). On Sunday, in contrast, they had a great race. Starting last on the grid (on the 19th row) and switching to car 399, they rose rapidly to midfield and then more steadily to take 3rd place at one point, finally finishing an impressive 4th. 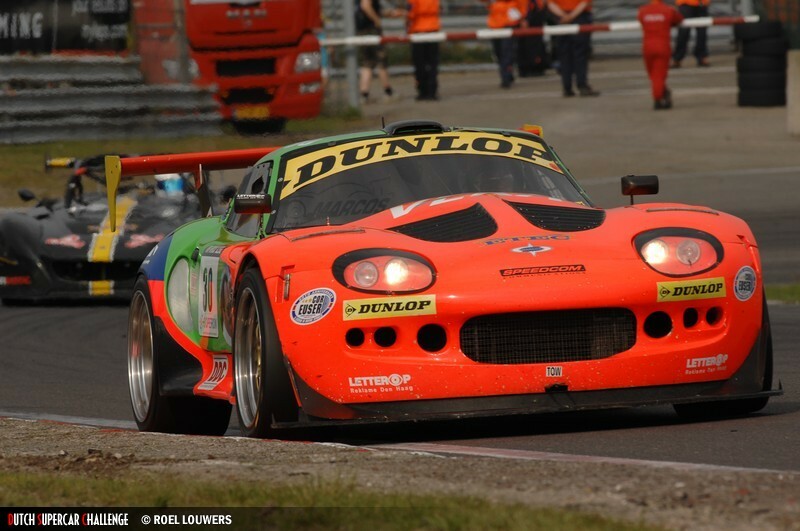 At Zandvoort in June, only the SS2 and Sport division cars were racing. Cor Euser was in a Marcos Mantis, as were the Sijthoff pairing. There were also Mantises for the Helmert Jan and Isaac van der Slik pairing and Jan de Wit was entered,but didn't appear in the qualifying results. Again, the Sijthoff's were the class of the Marcoses in qualifying, taking 2nd on the grid again. Euser/Peter Versluis were 12th and the van der Sliks 15th. 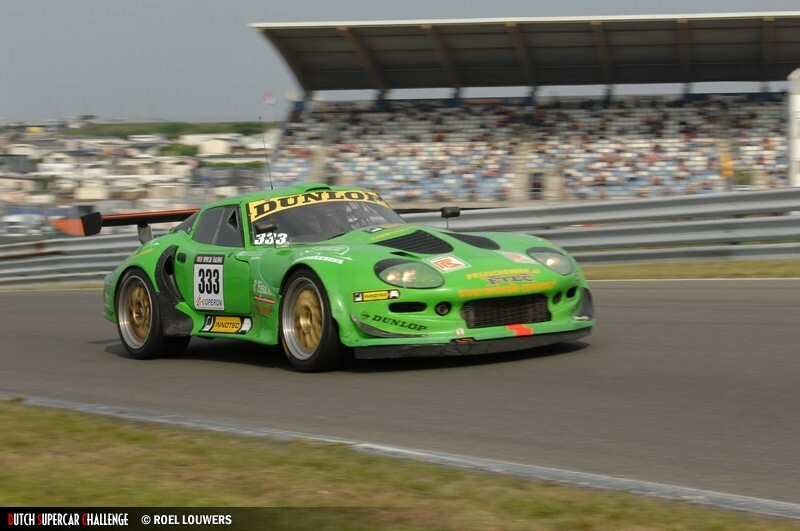 There were 3 races for the DSC at the Zandvoort Masters meeting. All 3 cars performed well in race 1. 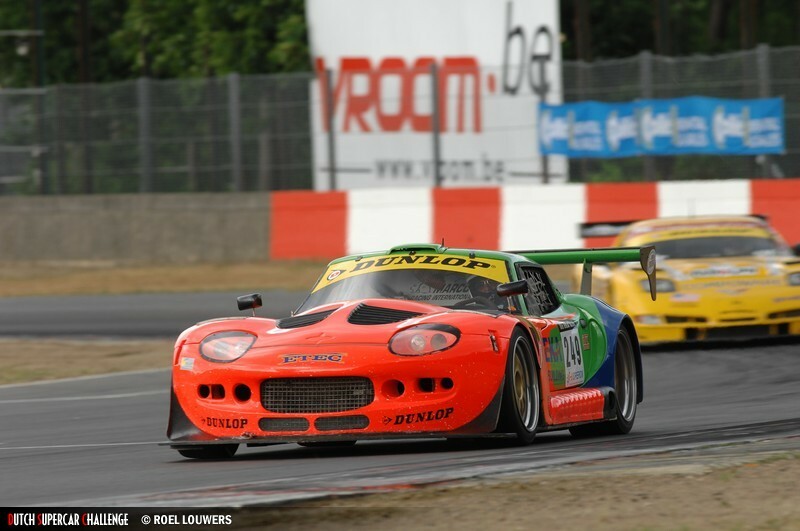 Diederik and Bob Sijthoff took victory with Euser/Versluis 5th and the van der Sliks 6th. Race 2 saw good results too, the Sijthoff's taking another podium in 3rd with Euser/Versluis 4th this time and the van der Sliks 6th again. 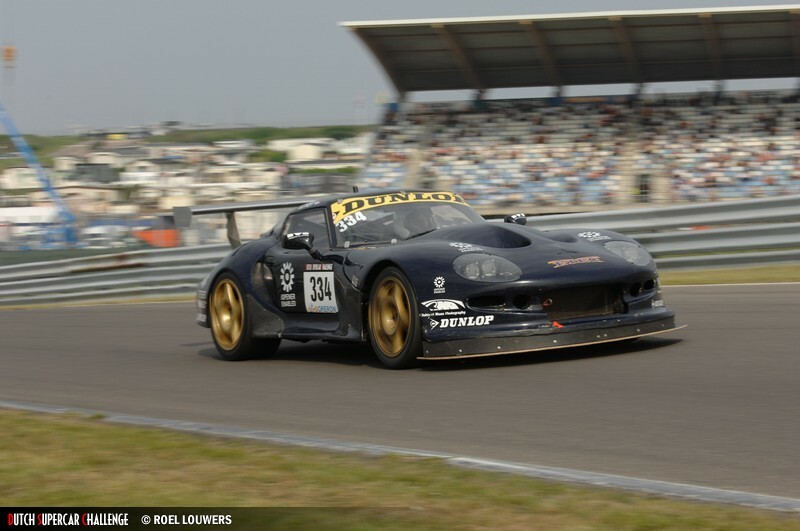 The Sitjhoffs rounded off a great meeting in the final Zandvoort race, taking 2nd for a podium grand slam. Euser and Versluis were down in 9th, but the van der Sliks were classified 26th, 4 laps off the full race distance. 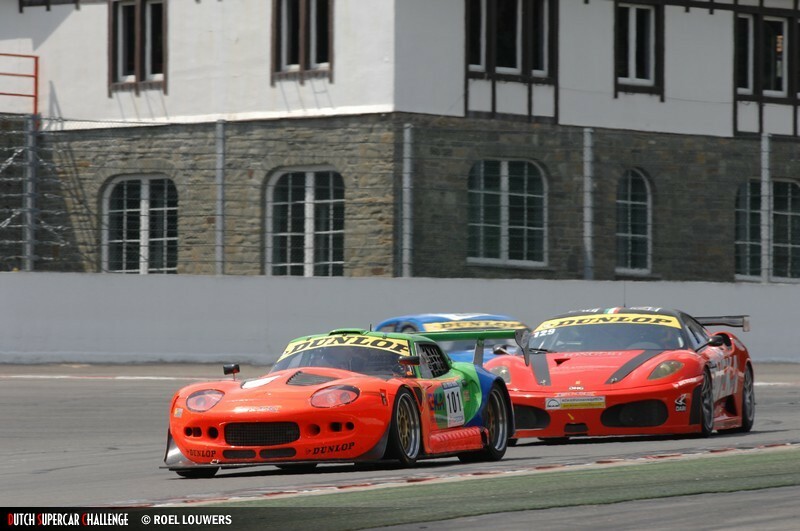 Spa was the next venue for the highly international 'Dutch' Supercar series. This race occuring over the weekend of the 27th June. 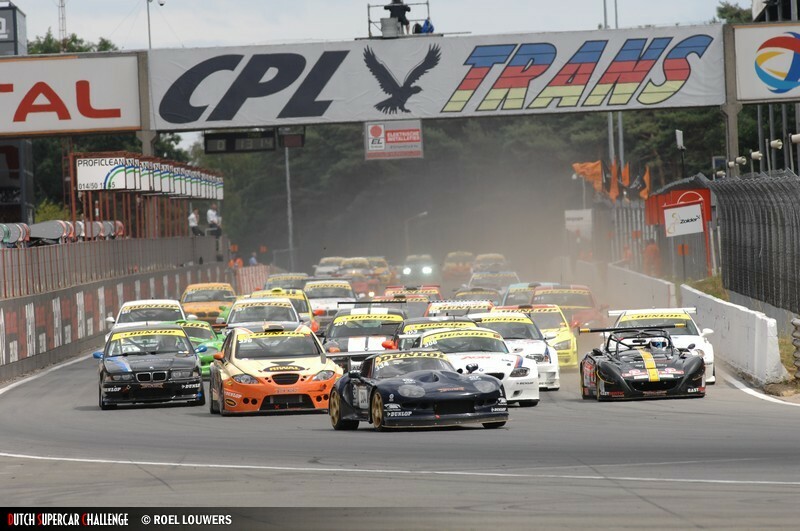 Euser's Marcorelly was out again, the LM600 still not race ready, and he took 4th in qualifying. In the SS2 class, Diederik and Bob Sijthoff drove separately (Diederik in car 334 and Bob in 399), qualifying 21st and 36th (1st and 7th in class) respectively in a huge field. 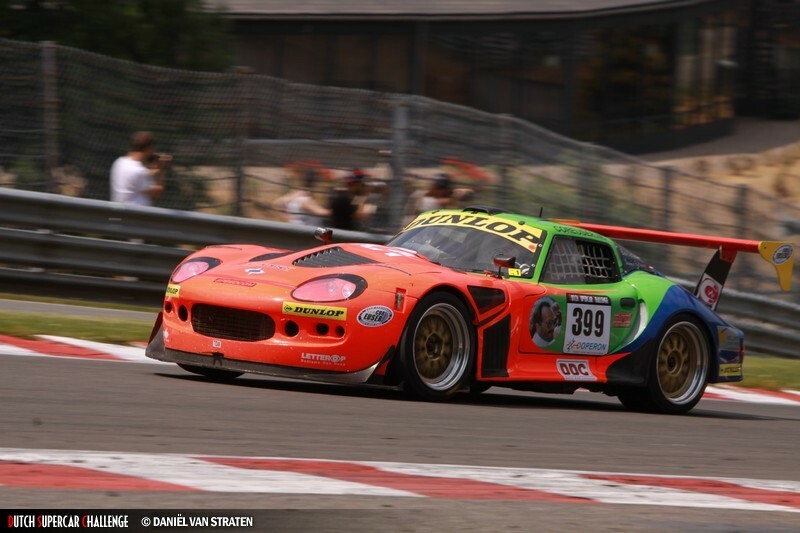 Race 1 was not a great one for the Marcos drivers, except for Diederik Sijthoff who took an SS2 class victory. Bob Sijthoff and Cor Euser both failed to finish the race, completing 12 and 9 laps in the 1 hour race, respectively. In race 2, things went well for Cor Euser, taking 2nd place from the back of the grid and Diederik Sijthoff was placed second in the SS2 class, just behind a SEAT Cupra. Bob Sijthoff's first race problems prevented him starting race 2. 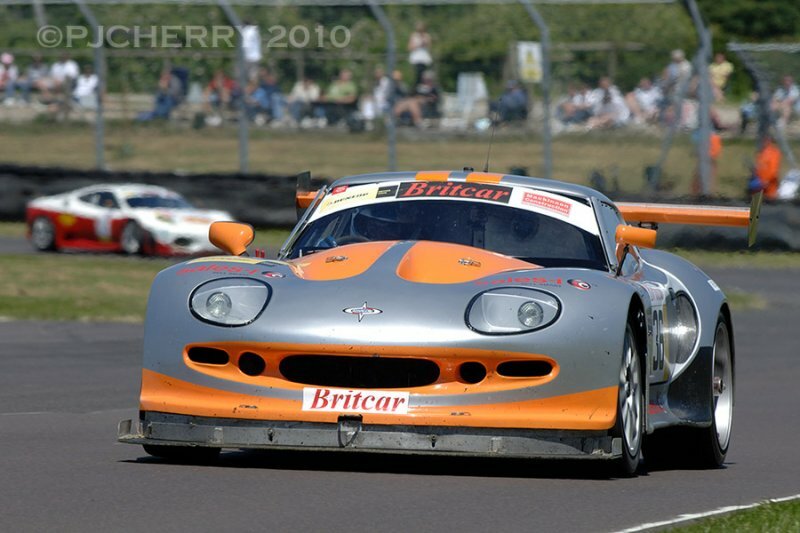 Meanwhile in the Britcar series, there were races at Snetterton, Croft and Castle Combe. 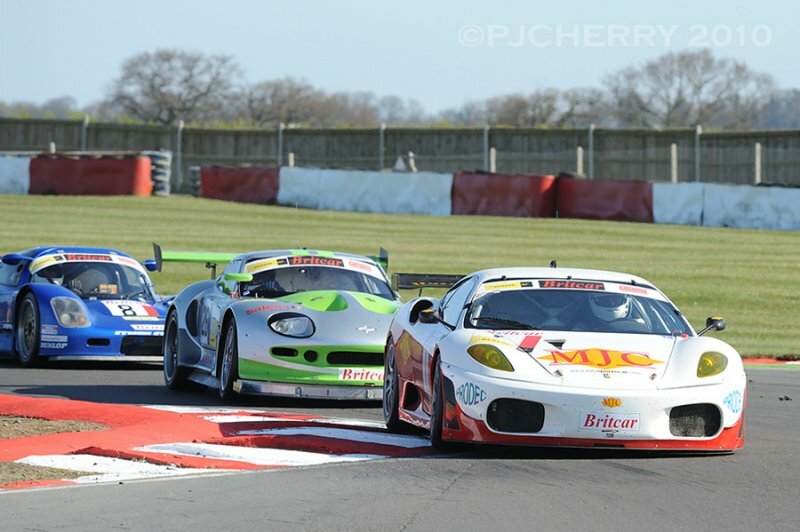 Once again, the two Topcats Mantises were racing at Snetterton in April, with the Class 2 car of Huggins and Fiorentino being faster in qualifying, taking 3rd, with O'Neill and Fletcher 9th in the class 3 car. In the 150 minute race, the Huggins/Fiorentino car was 2nd at 30 minutes, with the O'Neill/Fletcher car 15th and 4 laps behind the leader having made an early pit stop to reset a switch. 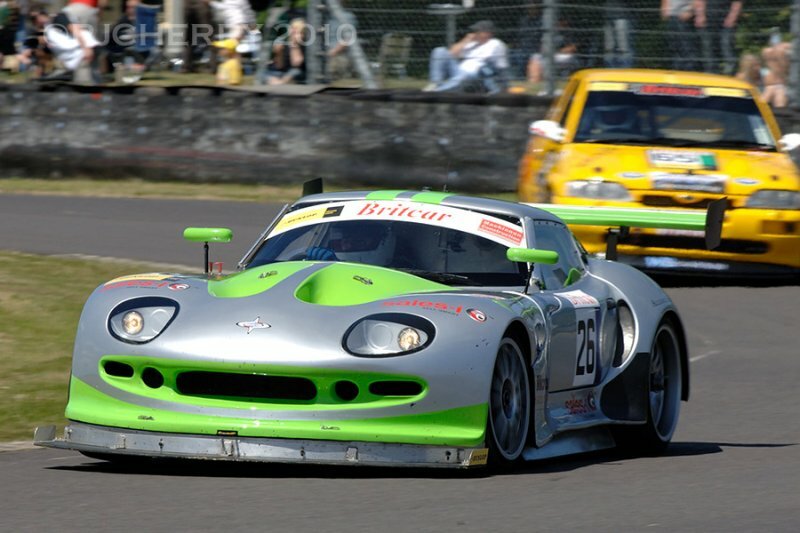 At the hour mark, Huggins and Fiorentino retained second, being the only other car on the same lap as the leading Mosler. O'Neill and Fletcher were now 5 laps adrift, but up to 13th overall. The two cars drifted together over the next hour, with Huggins and Fiorentino slipping behind the Ginetta G50 of Matt Bell at the 90 minute mark and the O'Neill/Fletcher car moving up to 11th. At the 2 hour mark, the Class 2 car had slipped to 7th, some 5 laps adrift of the leader and in the pits with a water leak, whilst the class 3 car was just one place behind, albeit 2 laps behind. At the finish, the O'Neill/Fletcher car's reliable run after that early stop yielded a 6th place overall and, no doubt, some thoughts of what might have been. The Class 2 car was classified 10th, but not running at the end. Croft was in May and another 150 minute race. The 2 Marcoses qualified near the front, with the Class 2 car of Huggins/Fiorentino 3rd and the usually O'Neill/Fletcher driven Class 3 car was qualified 5th by Topcats owner Warren Gilbert, but not started. Nothing much happened in terms of placings after some early lap lead changes. The Huggins/Fiorentino car was placed 2nd at the 1 hour, 2 hour and 150 minute mark. 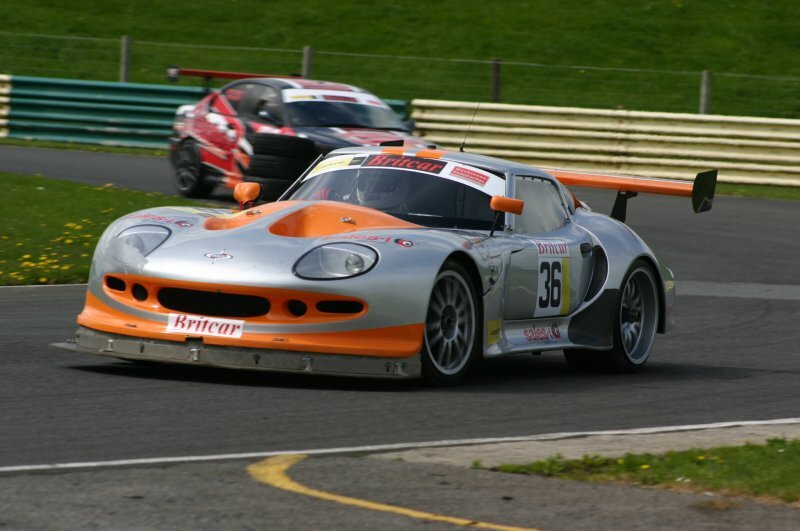 Castle Combe is considered Marcos' home circuit, so the Topcats team were keen to put on a good show again in June. 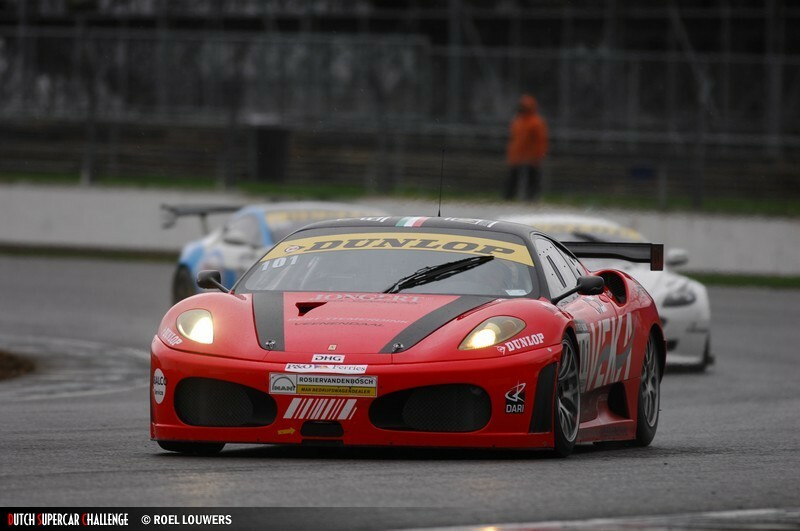 Despite the number of much more modern machines, such as Ferrari F430s, the class 2 Mantis of Huggins and Fiorentino was once again on the front row of the grid and leapt into an early lead, which it held until lap 30. O'Neill was teamed with Jon Harrison here and qualified in 9th. At 45 minutes, the 26 class 2 car was 3rd overall having dropped down the order at the pitstops under the pace car, with the 36 class 3 car in 8th. 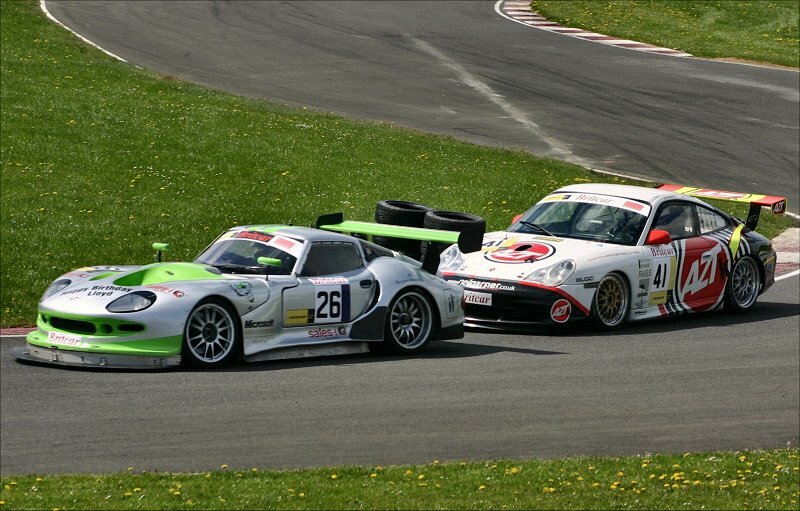 Things got worse when the 26 car collided with a TVR and started to encounter handling problems which dropped it further and further back. The 36 car received a stop and go penalty too and lost some places. In the dying minutes, Fiorentino scrambled into the pit lane with the front left wheel askew on the Marcos, possibly as a result of the earlier incident, although that was on the opposite side of the car. At the final 90 minute mark, the O'Neill/Harrison car was 6th overall and 2nd in class 3, whilst the Huggins/Fiorentino car was classified 10th overall. 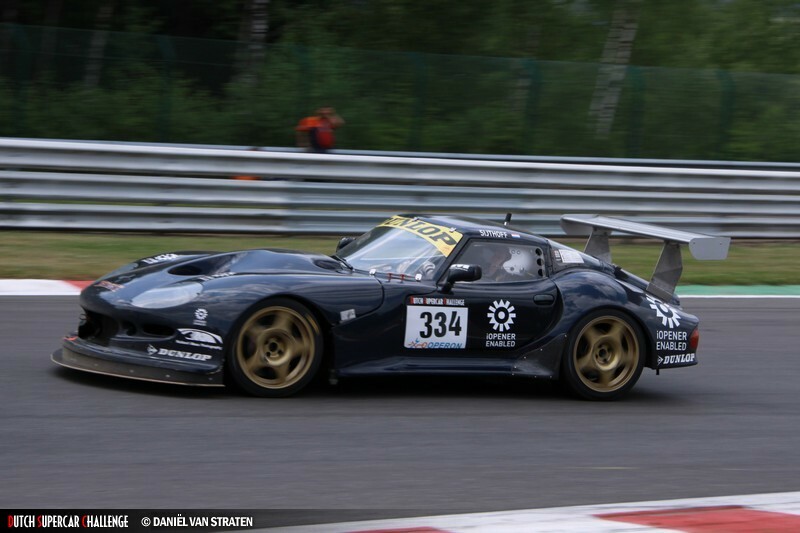 **** LATEST: In July, the Dutch Supercars were at Zolder to support the Football team backed 'Superformula' series. Cor's mightly LM600 was finally ready for racing and took pole. The Marcorelly that had performed so well in Cor's hands so far this season was also racing, this time driven by Bob Sijthoff, who qualified it 23rd. In the Supersports 2 division, there were 3 Mantises, all entered by the Moritz team. The fastest driven by Diederik Sijthof took pole for the race, with the other two, driven by the van der Slik and Moritz pairings, qualified 10th and 16th respectively. 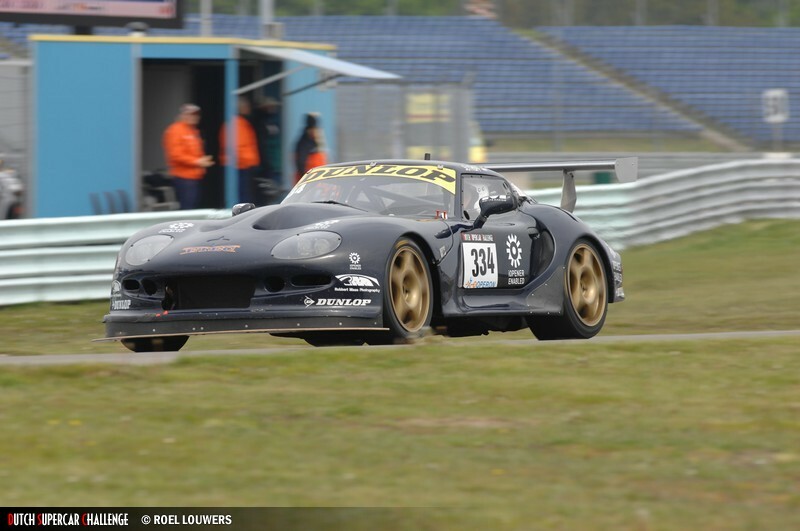 In race 1, Cor took victory ahead of Barry van Elk's Mosler. The Marcorelly retired after 10 laps and was not to reappear for Sunday's race. 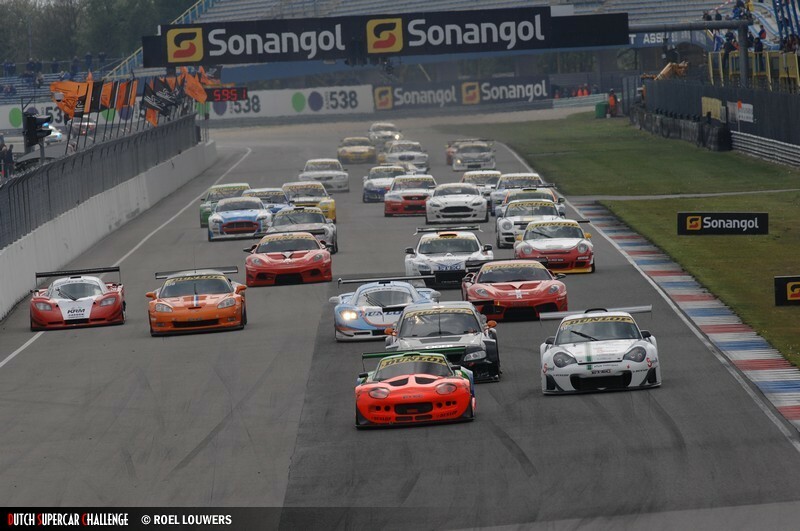 Race 2 saw less success as Euser's LM600 (shared with Peter Versluis in this race) retired at the 16 lap point. The SS2s raced separately and in race 1, Sijthoff converted his pole into a podium placing in 3rd. The van der Slik duo were 11th, with the Moritz pairing 13th. 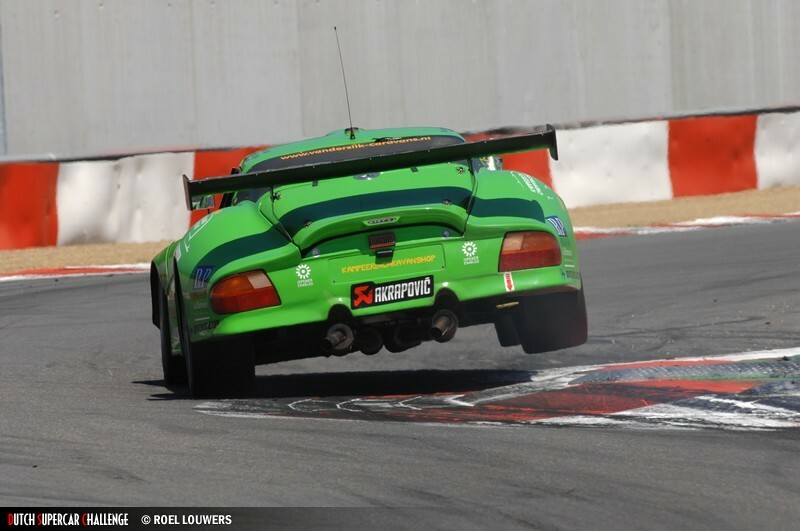 Things went less well for Diederik Sijthoff in race 2 as he retired after 13 laps. The van der Sliks were a lowly 25th beaten by the Moritzes in 18th. 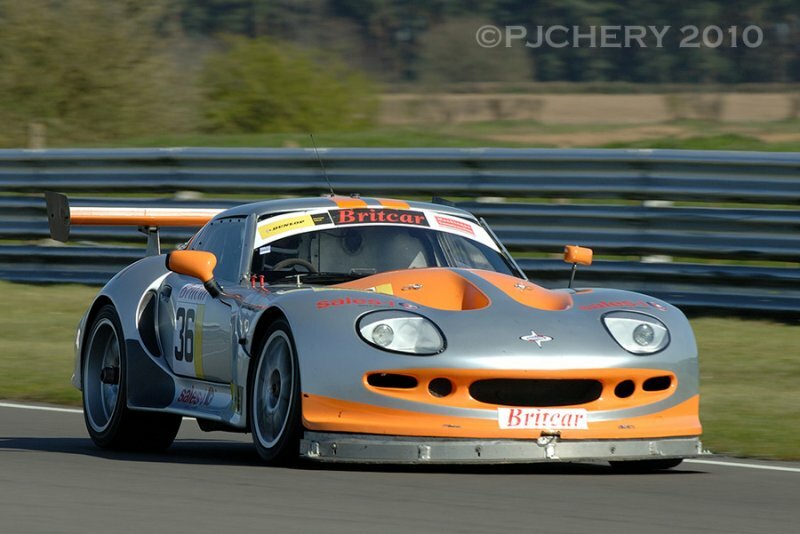 The Britcars were back at Snetterton near Norwich for a 4 hour race (the longest of the season, 24 hour excepted) on July 25th. 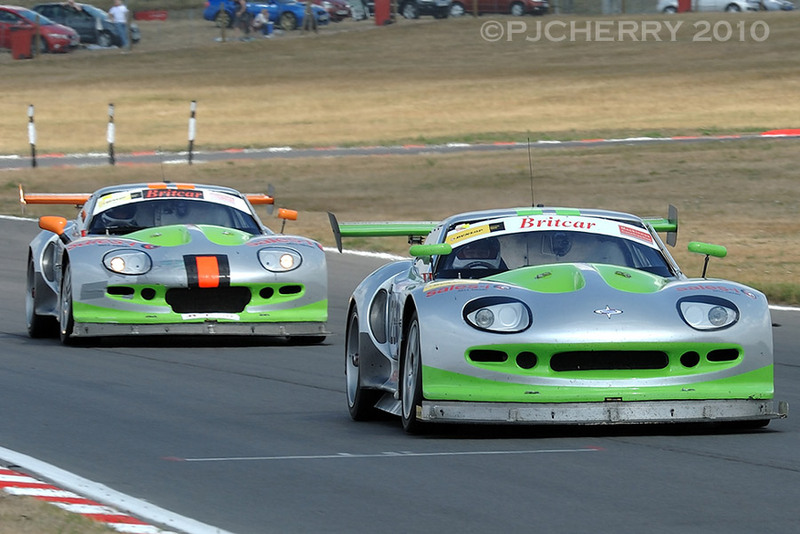 Owen O'Neill and Jon Harrison were entered in the class 3 car (bearing a lot of green flashed paintwork here as opposed to it's normal orange flashed livery) whilst the green flashed class 2 car was, as usual, crewed by Neil Huggins and Raphael Fiorentino. In qualifying, the class 2 car was unusually off the pace by their normal high standard, 'only' qualifying 6th, whilst the class 3 car was 10th in a larger than recent field. 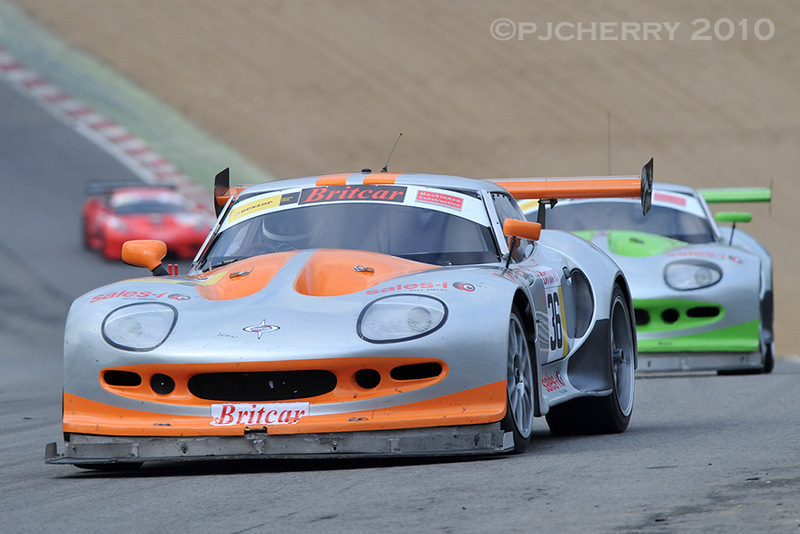 At the 1 hour mark, the Marcos were running in 4th and 5th places, both on 43 laps. After 2 hours the class 2 car was up to second overall, with the class 3 car in 4th and leading its class. By 3/4 distance, the Huggins/Fiorentino car was 3rd on 126 laps, 3 behind the race leading Ferrari and one behind the Porsche in second. The class 3 car was still running well in 5th and having a battle with former Marcos driver, Callum Lockie, who had battled his BMW up from the back of the grid. At the finish, the two Marcoses were 3rd and 4th overall as Lockie's BMW infringed fuelliing regulations late on. Both cars also took full points for their classes to make it a great day for the Topcats team.